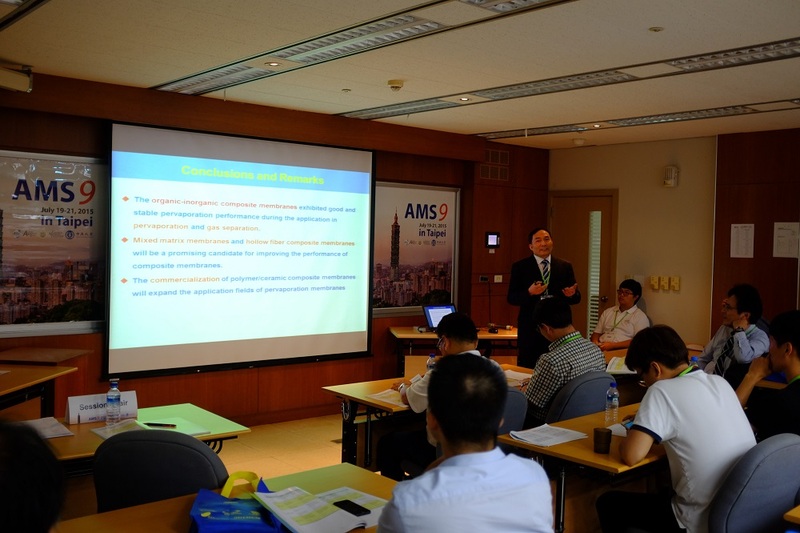 During July 19-21, Prof. Jin and his research group staffs attended 9th Conference of Aseanian Membrane Society (AMS9) in Taipei, China. Prof. Jin was invited as a member of Scientific Committee of the AMS9 and the co-chair of “Membrane Process for Gas / Vapor Separation” session, giving an invited lecture titled “Organic-Inorganic Composite Membranes: From Lab to Industrialization”. 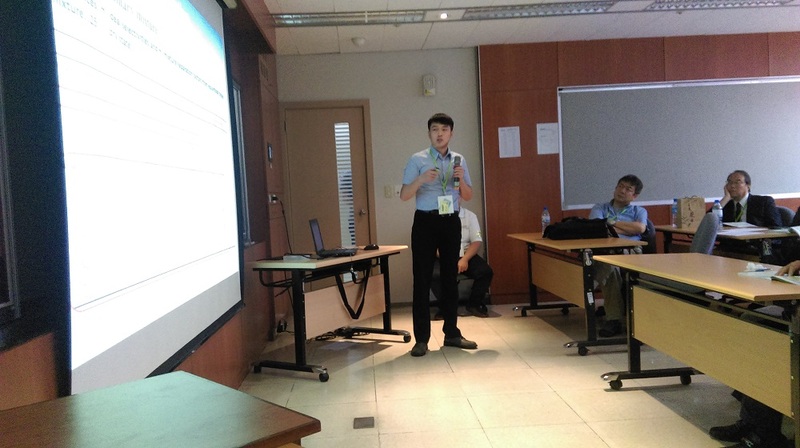 Dr. Zhou gave an oral presentation of “Vapor Permeation of VOCs from Nitrogen by PDMS/Ceramic Composite Membrane”. 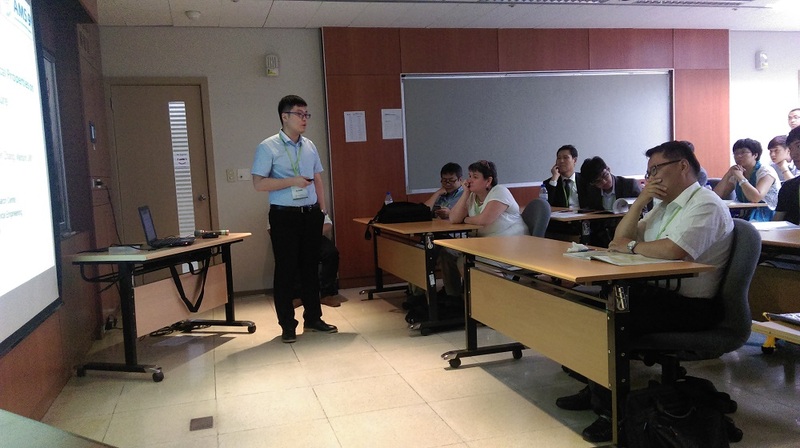 The PhD candidates Kang Huang and Jie Shen gave oral presentations of “Fabrication and Application of Graphene Oxide/Hollow Fiber Composite Membranes” and “Effects of Physicochemical Properties of Graphene Oxide on Membranes for CO2 Capture”, respectively. 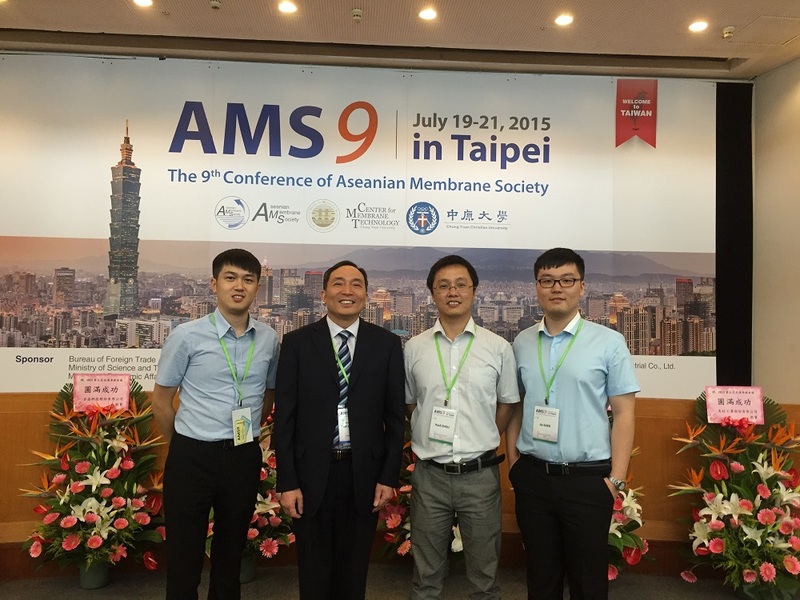 Prof. Jin with Dr. Zhou and PhD candidates attended AMS9 in Taipei, China. Prof. Jin gave an invited lecture in AMS9. Dr. Zhou gave an oral presentation. 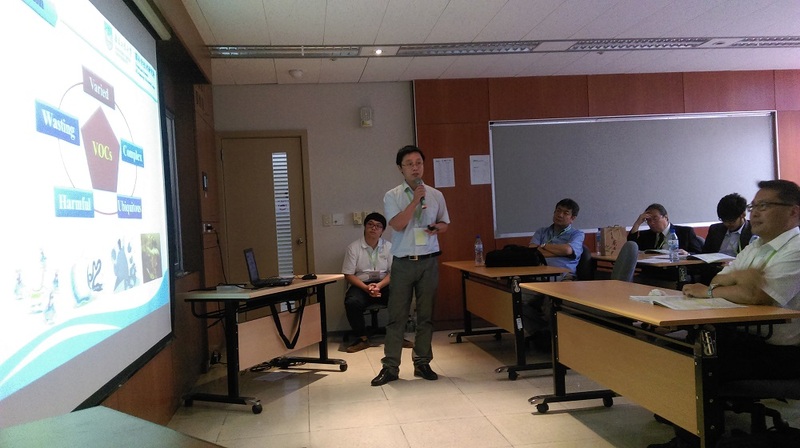 PhD candidate Mr. Huang gave an oral presentation. PhD candidate Mr. Shen gave an oral presentation.